Since 2003, our TESOL / TEFL certification courses have helped thousands of teachers get the best teaching jobs in the world and pursue very lucrative career advancement opportunities. Get certified to teach English worldwide with OnTESOL! FAQ 1: How Do I Choose The Best TEFL / TESL / TESOL Certification Course? The best TESOL / TEFL / TESL course will provide you with the most common methodologies and lesson planning formats to develop your capacity to adapt to different teaching materials and groups of learners. Knowing how to supplement the textbook with communicative activities and authentic material (Ei: songs, movies, news stories, podcasts, and other media) is a very important skill that you must have as an ESL teacher. Whether you are planning to teach English abroad or in an English immersion program at home, the textbook is often outdated and boring. In some countries, there isn’t even a textbook to follow because students cannot afford one. For this reason, it is recommended to take a TESOL / TEFL / TESL certification course with a strong focus on lesson planning and the Communicative Language Teaching method. FAQ 2: How Does OnTESOL Offer the Best Training? Most courses out there offer an introduction to TESOL / TEFL / TESL methodology. This means that they introduce the topic of lesson planning but they do not assess their trainees via lesson planning assignments that follow the international formats (Ei: PPP, TBL, ESA, etc). Some courses do not even require trainees to create a single lesson plan and they assess via reflection essays and multiple-choice tests only. After completing your advanced TESOL course with OnTESOL, you will be able to create fun and effective lesson plans using your own authentic materials, integrate skills activities, role-playing, simulations, drama, storytelling, debating techniques, presentations, and many more CLT strategies and techniques. Our advanced TESOL courses also include a comprehensive grammar and phonology module that will test your knowledge and serve you as a reference throughout your teaching career. FAQ 3: Are TEFL and TESOL Different? FAQ 4: How Does OnTESOL Compare with CELTA? FAQ 5: How Does OnTESOL Compare with Oxford Seminars? FAQ 6: How Does OnTESOL Compare with TEFL Online by the University of Toronto? Get Free Job Placement Assistance After Completing Any Of Our Online TESOL Courses! 1,000+ TESOL jobs in China! 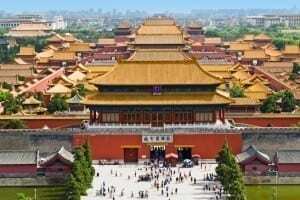 Take a TESOL course with OnTESOL and get free job placement in China. We offer free recruitment services in China for English First, Montessori Beijing, and Aston English. 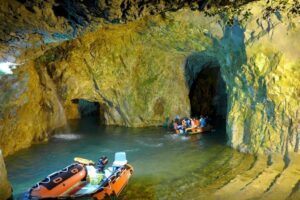 1000 TESOL jobs in South Korea! Free job assistance services in South Korea with the EPIK program and private hagwons. 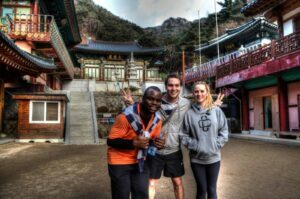 Take your TESOL / TEFL certification course with OnTESOL and apply for TESOL jobs in South Korea. 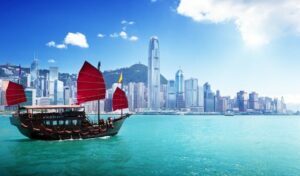 400 TESOL jobs in Hong Kong! Earn up to $70,000/year in Hong Kong! Get free job placement for public school jobs in Hong Kong after completing your TESOL certification course with OnTESOL. 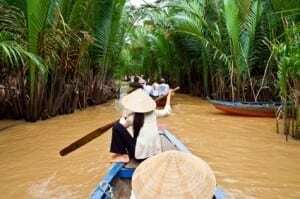 100 TESOL jobs in Vietnam! Take any of our accredited online TESOL courses and get free job placement in Vietnam. Apply now to teach English in Vietnam with Amslink. A minimum of 120 hours TEFL / TESOL certification is recommended. 10,000 online jobs! OnTESOL works with 51Talk and Qkids to offer free job placement for online ESL teachers. Apply for online teaching jobs after completing your TESOL certification with OnTESOL! 500 jobs in Japan! 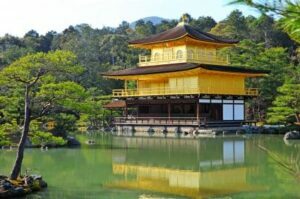 Teach English in Japan with Gaba! Over 40 locations! Apply to teach English Conversation One-to-One with the leading institute in Japan after completing your online TESOL / TEFL certification course! Accepted for Professional TESOL / TEFL Jobs Abroad. Accepted in native-English speaking countries (Canada, USA, UK, Australia, New Zealand). Recommended for School Directors and Curriculum Development Positions. Even after completing a Bachelor of Education, Master’s Degree in Educational Psychology with a thesis on English Language Learner Achievement, two years teaching in South Korean international schools and five years teaching in Canadian public secondary schools, which includes international programming, I found OnTESOL’s program incredibly useful, relevant, theoretically sound and pedagogically inspiring. Not only is this program fundamental for those who wish to teach abroad, but it is also practical and helpful for teachers working with international students who need greater insight into linguistic development, language learner needs and adapted teaching strategies. I had a very accommodating tutor named Danielle. Though we didn’t get to see other, I felt very comfortable with her. I value and really appreciate her efforts and time on checking my assignments, especially when I was having trouble in making a lesson plan. I learned so much with my tutor. The ideas that she shared had been a great help in my class. Thank you for the great experience OnTESOL! The course was really helpful and beneficial. I have been an ESL for 3 years but I still learned a lot and I am now a much more effective teacher. I finished the course feeling more confident because I am better equipped after in taking the 120-hour TEFL certificate course with OnTESOL. Furthermore, the tutors are great. They encourage you to ask questions and they also provide lots of comments and feedback. They are really committed in your learning. Choosing OnTESOL is a very good decision! Teaching abroad is a great way to travel the world while doing a job that makes a difference in the lives of many people. 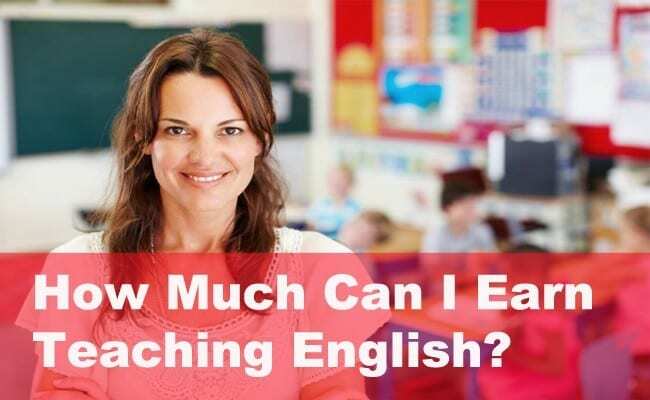 Most people teach English abroad for a year or two, but there are plenty of highly paid job opportunities in native-English countries, so there are thousands of teachers who continue their TESOL career at home or keep traveling around the world. The advanced TESOL courses offered by OnTESOL provide great flexibility to native-English speakers from Canada, USA, UK, Ireland, Australia, New Zealand, and South Africa who want a credential that is accepted abroad and also at home. Is Teaching Experience Required to Teach English Abroad? Teaching experience is not required to teach English abroad. Teaching experience may be required in native-English speaking countries, the Middle East, and Hong Kong, where teachers earn up to $70,000/year plus benefits. Do I Need to Learn a New Language to Teach English Abroad? You don’t need to speak the local language to teach English abroad, but you should take advantage of your TESL experience to learn a new language for your own personal development. The English-only policy prevails in most programs and schools want certified teachers who know how to use the Communicative Approach. Our TESOL courses will prepare you for the job. Our online TEFL / TESOL certification courses are recognized by TESL Canada and ACTDEC UK. These accrediting organizations have approved our course material, teacher trainers, and advertising claims. 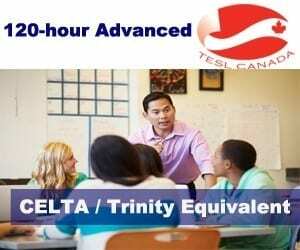 CELTA is an entry-level 120-hour TESL / TEFL / TESOL certification course that includes a Practicum module. OnTESOL offers advanced online TESOL courses with an optional Practicum module that is offered separately. Our 120-hour Advanced TESOL Certificate is academically equivalent to CELTA. Our 250-hour TESOL Diploma is more comprehensive than the CELTA certification course. Graduates who wish to gain supervised teaching experience can take the 20-hour Practicum module anywhere in the world. 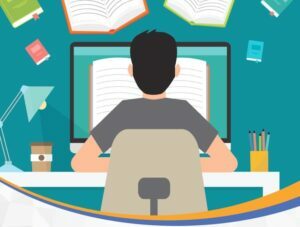 Does OnTESOL Provide Tutor Support? All our TESOL courses come with professional tutor support! An experienced and accredited teacher trainer will assist you throughout the program and provide you with extensive feedback on every assignment. Is Online TEFL / TESOL Certification Accepted Worldwide? In most countries, the minimum TEFL / TESOL certification requirement is 100 hours. If your goal is to teach English abroad, you can get an entry-level job anywhere in the world with an online TESOL or TEFL course. If you want to teach English in a native-speaking country, you need to complete a 20-hour Practicum module after the online course. The Practicum module is also recommended for certain teach abroad programs in Hong Kong and the Middle East. OnTESOL graduates can complete an optional Practicum module after completing any of our advanced TESOL certificate courses. You can take the Practicum module anywhere in the world after completing any of our advanced TESOL courses (The Practicum is not available for TEFL certificate graduates). The Practicum must take place with adult students, as per TESL Canada requirements. Graduates are required to find a qualified supervising teacher and OnTESOL will provide the guidelines after we approve the supervising teacher. Where Are OnTESOL Graduates Teaching Today? 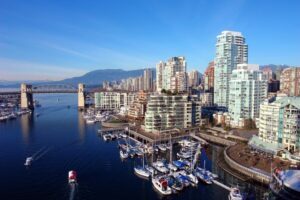 Canada: Language schools and universities. Hong Kong: Language Schools, NET’s Program, Business English programs. South Korea: EPIK and private schools. United Arab Emirates: ADEC, ADVETI, and international schools. Germany: Language schools and Business English programs. Japan: JET Programme, Interac, Gaba, Conversational schools. China: Universities, English First, and other language schools. Thailand: Language schools and public schools. Turkey: Language schools and international schools. Italy: Business English programs and language schools. Spain: Business English programs and language schools. What’s the Difference Between TESOL / TEFL / TESL? TEFL, TESOL, and TESL are acronyms that refer to the same industry. TESOL: Teaching English to Speakers of Other Languages. Our advanced TESOL courses were developed for people who want to pursue a professional international career. TESL: Teaching English as a Second Language. In Canada, accrediting and professional groups carry the TESL designation (ei: TESL Canada, TESL Ontario, ATESL, and TESL Toronto). Our advanced TESOL courses are recognized by TESL Canada.